Cardiff nightlife is really a taking a turn for the better, the number of new bars opening this August is amazing. There really is something for everyone, and now that Cardiff has some fresh faces on the scene, those of you who were getting tired of the same old bars on a Friday and Saturday night have something to look forward to. Cardiff has been calling out for The Alchemist for a while now, and we are thrilled to welcome a new branch on St. Mary’s Street. Located in the old NatWest Bank, the venue creates the perfect atmosphere for The Alchemist’s mastery. The bank vaults located underneath have been turned into private rooms for dining and corporate events, adding a wonderfully Gothic element. The Alchemist brands itself as The Master of Molecular Mixology, and who are we to argue with that. The drinks mirror the decadent and Gothic décor with everything from their own unique ‘dark arts’ combinations to the classics. Go and experience their weird and wonderful combinations. Prosecco, wine and champagne are also available. Perhaps not the place for you hard-core ale or larger drinkers, but a lot of fun nonetheless. The Alchemist also offers an extensive food menu serving breakfast, lunch and dinner. Tried and tested in Aberystwyth, The Libertine has now come to Cardiff as its first city the brand has ventured to. Having opened June 19 at the top of the High Street, the cocktail bar is proving popular with everyone. The Libertine serve a vast range of cocktails all with their own unique twist, for example, if you can’t decide whether you want a cocktail or milkshake, The Libertine have the answer with an exciting combination of banoffee and whiskey. However, if you have a personal favourite they will be more than happy to make it for you. The bar also has a happy hour (excluding Saturday’s) which runs from 3pm-7pm, with some cocktails costing £5. Not fancying cocktails? They also serve tea and coffee throughout the day with cake and tea cakes as accompaniments. A new craft beer bar which opened June 14. Not quite your cocktail bar, but with it’s funky decor and vast range of local beers, it is certainly worth a visit. 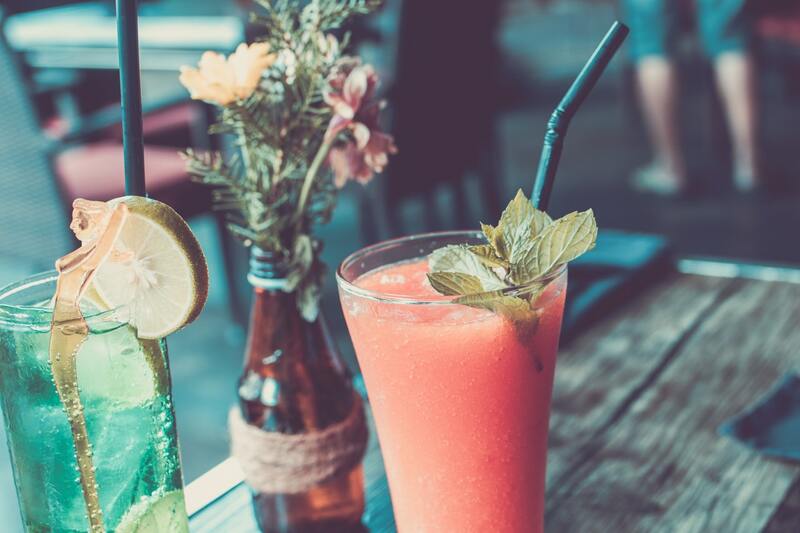 Located where Small Bar used to be, Beelzebubs will attract a range of cliental, all of which will love the independent quirky vibe which the bar has to offer. Not only this, the co-founders managed to crowdfund £28,000 which just shows the support the craft brewers have behind them. They have 10 local beers from Crafty Devil, but also 14 keg lines which showcase beer from all around the world. Beelzebub’s is definitely worth a visit if you love beer, cider, wine or spirits – there is something for everyone! Already established in 15 other locations, this will be the first venture into Wales. A secret garden cocktail bar is going to be opening soon on Church Street and we cannot wait. The Botanist serves a range of themed cocktails, each botanically-influenced, served in an array of watering cans and plant pots – ideal for those with green fingers. Along with cocktails, The Botanist will also have a full gin list which can also be served as gin carafes. Ideal for sharing. They will have an extensive drinks menu for those of you who prefer craft beers, ales, wine or bubbly. Food-wise, The Botanist has a good menu with nibbles, starters, mains and desserts. They have also got something for the kids and a non-gluten menu – there really is something for everyone. A completely new wine and cocktail bar experience is coming to the High Street in Cardiff.. They have a wine menu which has been carefully selected which is continually changing to make sure there is always something new. With 25 different wines to choose from, wine drinkers will be spoiled for choice. Many of the wines are served by the glass and very affordable so everyone can enjoy some fine wine. All this can be enjoyed with nibbles which range in price from 50p to £2.50. Fly By Night will also have a cocktail menu with 20 different cocktails all based on the planets and moons within our solar system. From the sounds of things the décor is going to be exciting and unique. Rumours of visual effects, a giant cherry blossom tree and a Mad Max-style underground bar. All is going to be revealed so watch this space! An independent cocktail bar on St. Mary’s Street which is having a revamp of its décor and soon to be reopening. Nest 23 is mainly focused on cocktails and spirits with a wide range of both including gin, rum and whisky, all of which can be served as sharing boards. Perfect for all social occasions. They are also big fans of prosecco and you are able to ‘pimp your bubbly’ with a wide selection of fruit to decorate and tingle your taste-buds. To accompany your cocktail or fizz they have a range of freshly made sharing boards. Side note: If you’re planning your own party or corporate event, why not bring the party to you? At Pop-Up Bar Hire we can help stock, organise and run your bar, so contact Pop-Up Bar Hire today for more information.